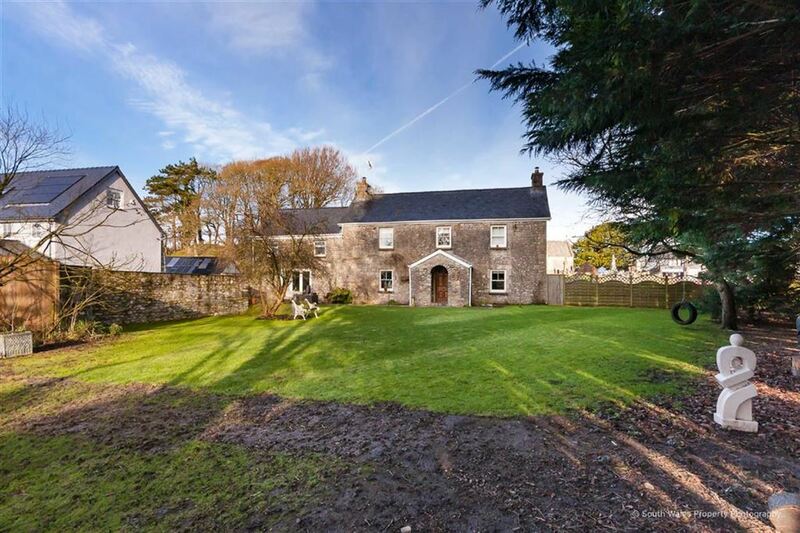 Church Farm has been wonderfully renovated and sympathetically modernised by the current owners over the past 10 years between 2008 and 2013, they have enjoyed the excellent facilities that village life offers in Ystradowen with a thriving community at it's heart. 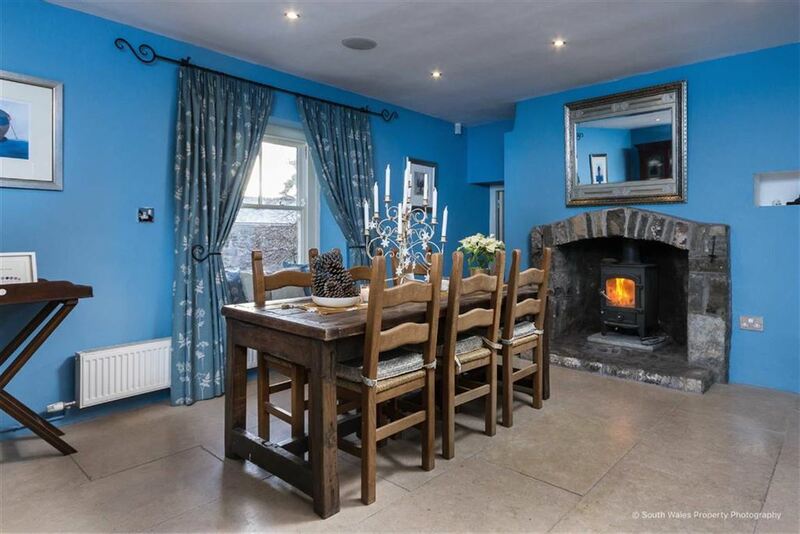 The property, originally a stone built farmhouse built in 1840, retains all the character and architecture of such age. The sizeable living space, 7 bedroom, 5 reception room and 5 bathroom, spans circa 5000 sq/ft and offers adaptable, versatile and modern family living. Benefits include modern fitted Sigma 3 kitchen in a beautiful open-plan Kitchen/Family Room, 3 door run of hardwood floor to ceiling bi-folding doors to Morning Room and and abundance of clearview multi fuel burners, including a unique inset German model by Stuv. 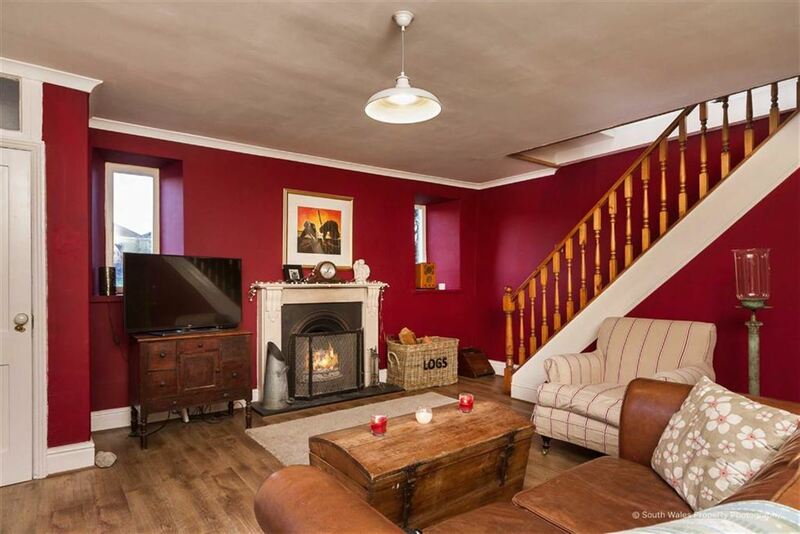 Further practical measures include gas central heating by replacement combination boiler in 2011 and 2018, new roof in 2008 in Brazilian Slate, Cat 5 connections throughout, Sonos surround sound speaker system to the ground floor, exposed pointed stonework throughout and limestone tiled floors. 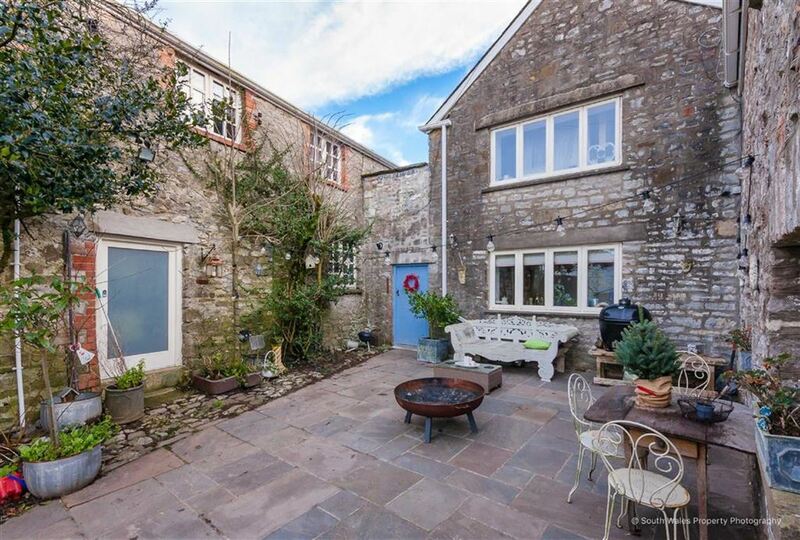 Ystradowen is a popular vale village just a few minutes drive north of the market town of Cowbridge. 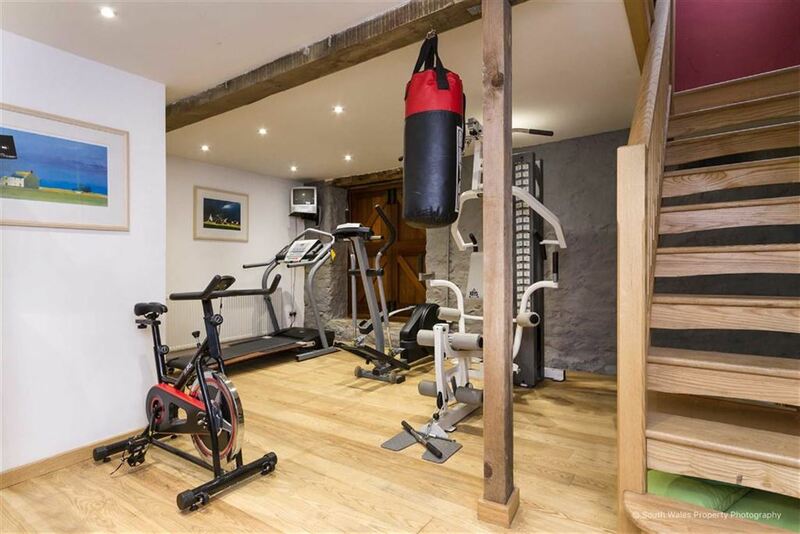 The village offers a better range of local facilities than most including garage/small general store, village church, village pub, very active village hall. The market town of Cowbridge is just a few minutes drive down the road and offers the extensive range of facilities including schooling of excellent reputation for all ages, a wide range of shops both national and local, library, health centre, sporting and recreational facilities including leisure centre, cricket club, tennis club, squash club, bowls club etc. 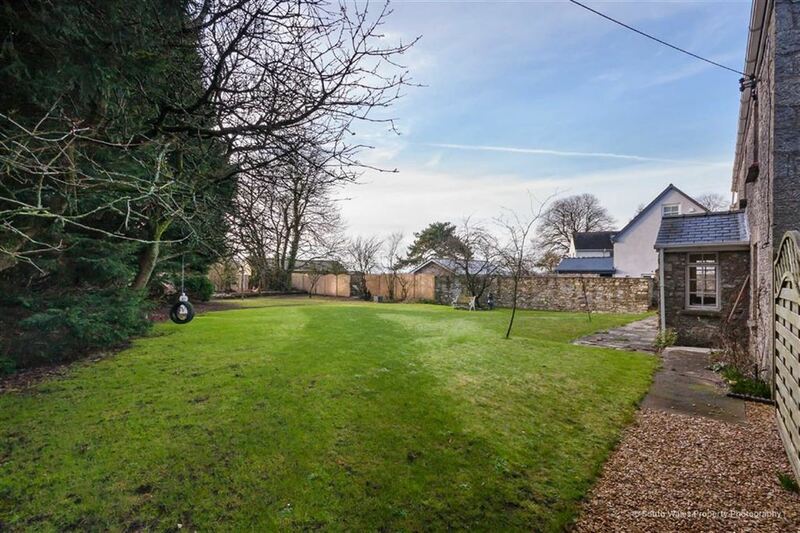 The village lies within the catchment area for the very well regarded Cowbridge secondary school. 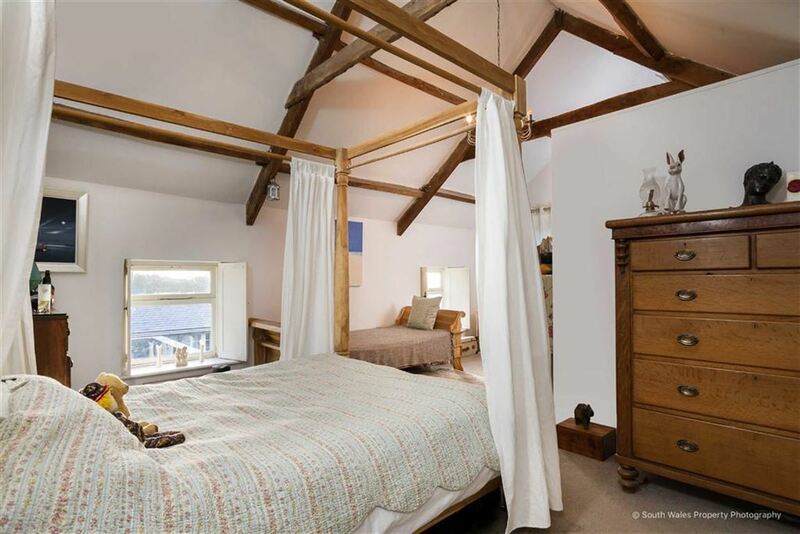 Ystradowen lies in the heart of the rural Vale of Glamorgan with the Heritage coastline just a few miles to the south. Easy access to the good local road network brings major centres including the capital city of Cardiff, Newport, Swansea, Bridgend, Llantrisant etc all within comfortable commuting distance. Entrance Hall: 14'8" x 5'11" Entered via traditional pine door. 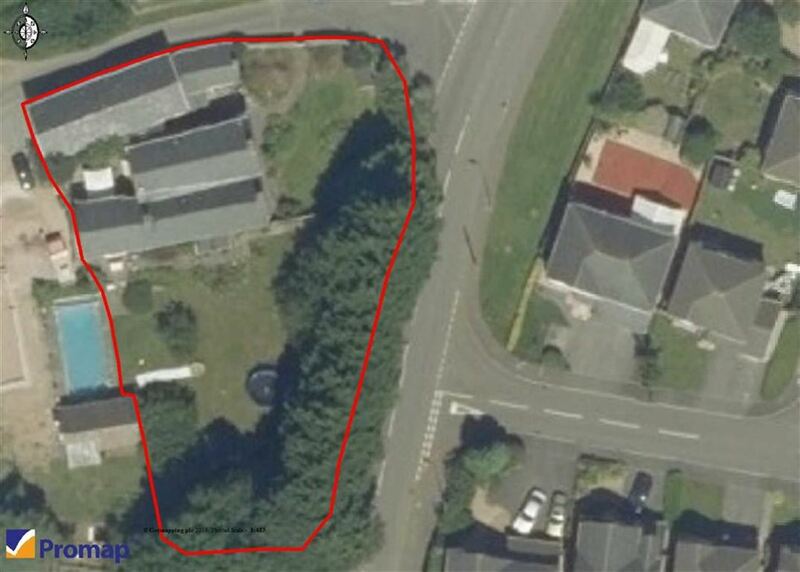 Accessed from large private gardens. Spindle balustrade staircase to first floor landing. Renaissance chess board style flooring. Floral papered featured wall. Sitting Room: 14'1" x 13'5" Adaptable reception space with sunken design clear view Stuv multi fuel burner to wall. Inset alcove cupboard with pine panelled doors. Double glazed hard wood sash window to front. Dining Room: 16'8" x 14' Impressive reception room with feature open pointed stone fireplace to include cast iron clear view multi fuel burner inset. Double glazed hard wood sash picture window overlooking gardens with inset window seat. Polished limestone tiled flooring. Sonos surround sound inset speaker. Chrome spotlighting. Morning Room: 19'6" x 14' Wonderful reception room offering an abundance of natural light. Three door run of bespoke floor to ceiling double glazed solid wood bi-folding doors opening out to flagstone terrace. Limestone tiled flooring. Two glazed windows overlooking rear courtyard. Farmhouse style ledged and braced door. Inset Sonos speakers. 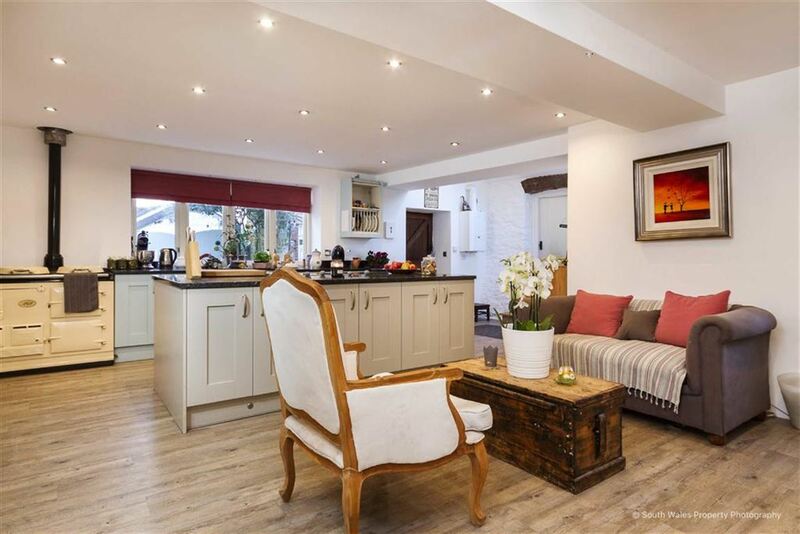 Kitchen/Family Room: 21'9" x 23'9" narrowing 17'3" Wonderful open plan living space at the heart of the home. High specification Sigma 3 shaker style kitchen fitted with an extensive range of decor panel fronted units to base and eye level with ornate chrome handles. 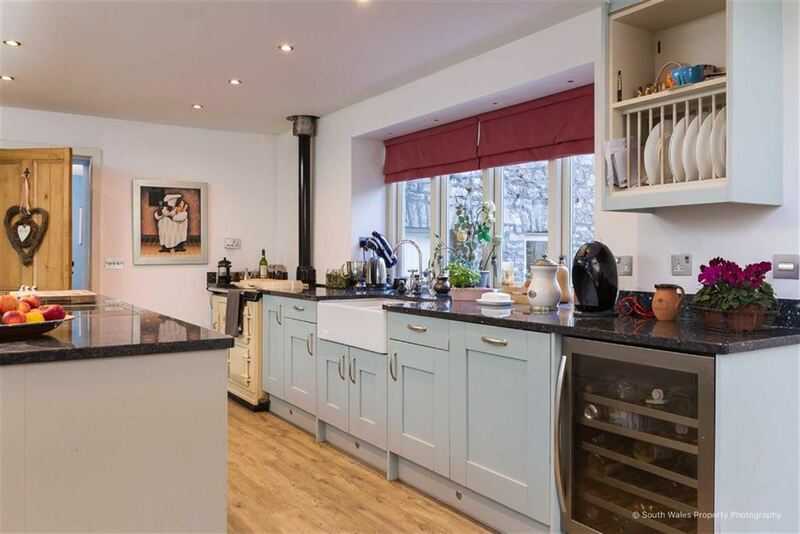 Features include granite work surfaces and matching up stand, double white china Belfast sink with chrome mixer taps, large aga range cooker, freestanding island unit to match with integrated Neff induction four ring hob. Further integrated Neff electric fan oven, integrated Beaumatic dishwasher with decor panel, integrated fridge/freezer, larder unit, variety of drawers with custom made cutlery compartments all soft closing. Set in a contrasting off white and beau blue pallet. This really is a home chef's dream. Double glazed oak framed french door with side screen window opening out to side courtyard. Stable door opening out onto rear. Two double glazed windows looking out over rear and side courtyards. Wall mounted Ideal Logic 30 central heating boiler. Rear Hall: Contemporary oak composite panelled full height entrance door inset with opaque centre window. Access from front courtyard. Usable as front access. Utility: 15'8" x 6'2" Approached from kitchen/family room, however adaptable as a potential annexe kitchen. Easily segregated from main house. Range of hard wood work surfaces with inset china Belfast sink and brass mixer tap. Modern tiled flooring. Lead lined multi paned double glazed replacement window to rear. Inner Hall: 9'3" x 4'7" Currently used as cloak store with hard wood flooring. Inset spotlighting. Range of inset power points. Bedroom Seven: 16'4" x 12'11" Double glazed hardwood door opening out to rear. Inset spotlighting. Wide ranging views. 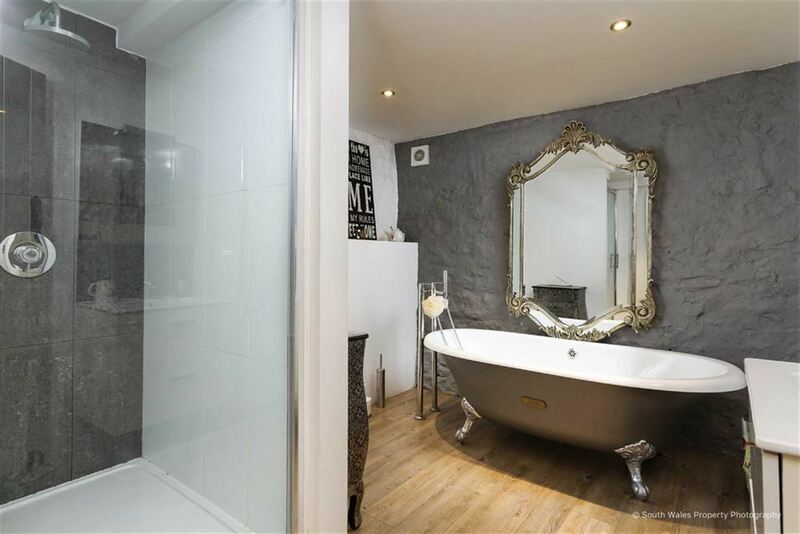 Bathroom Four: Contemporary white four piece suite with feature exposed stone walls comprising freestanding Roca roll top bath with claw feet including chrome mixer taps and shower attachment. Low level hidden cistern WC with Geberit chrome flush fittings. Roca square contemporary wash hand basin with mixer tap with granite splashback and vanitory unit. Contemporary separate walk in oversized shower with chrome waterfall shower fitment and thermostatic control. Granite tiles. Inset chrome spotlighting. Wall mounted stylish chrome towel rail. Wooden effect flooring. 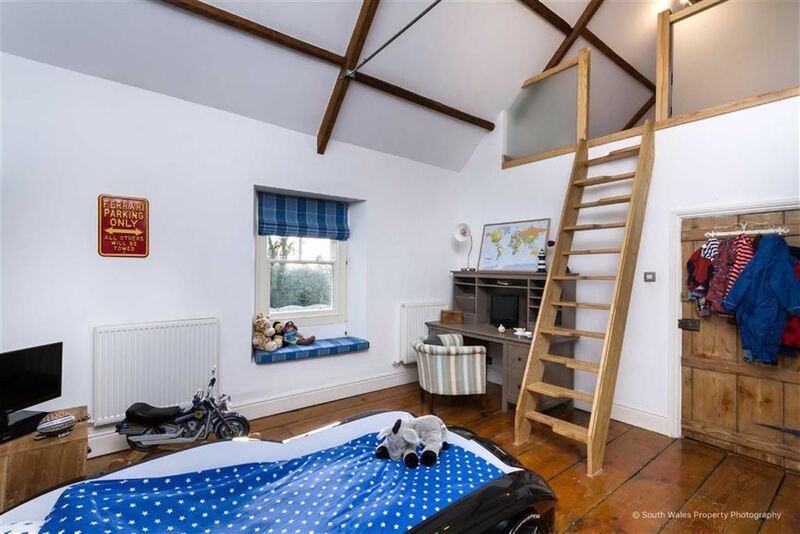 Family/Hobby Room: 49' x 17' A brilliant open plan space set above ground floor of potential annexe. Currently being used as a games room however can be used as home office, hobby room or workshop. 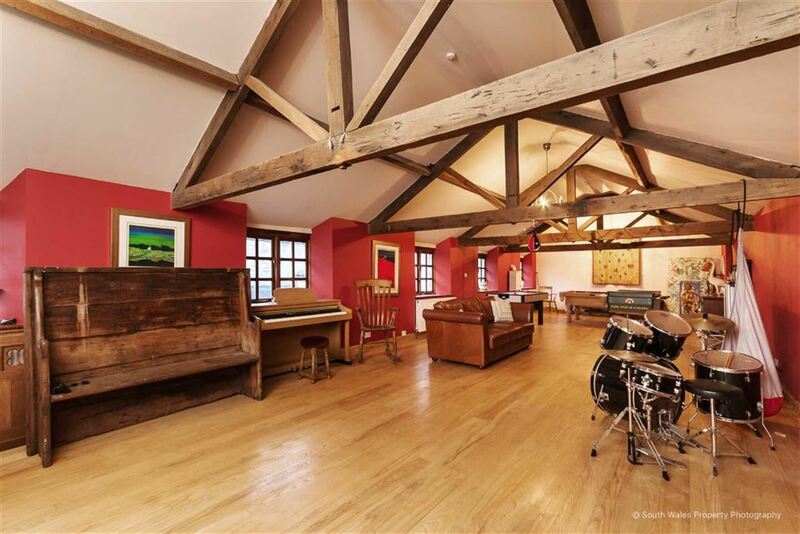 Stunning exposed beams. Wooden flooring. Range of double glazed hard wood windows on the east elevation joining a hard wood panelled stable door. Wall mounted Ideal Logic EPS124 combination boiler. Landing: Accessed via a 180 degree carpeted balustrade staircase from entrance hall. Coved ceiling. Radiator. Inset ceiling spotlighting. Stripped pine flooring. Master Suite Bedroom One: 25'1" x 15'5" narrowing to 9'1" Wonderful master suite. Open to eaves with high atrium ceiling. Double glazed windows with matching shutters. 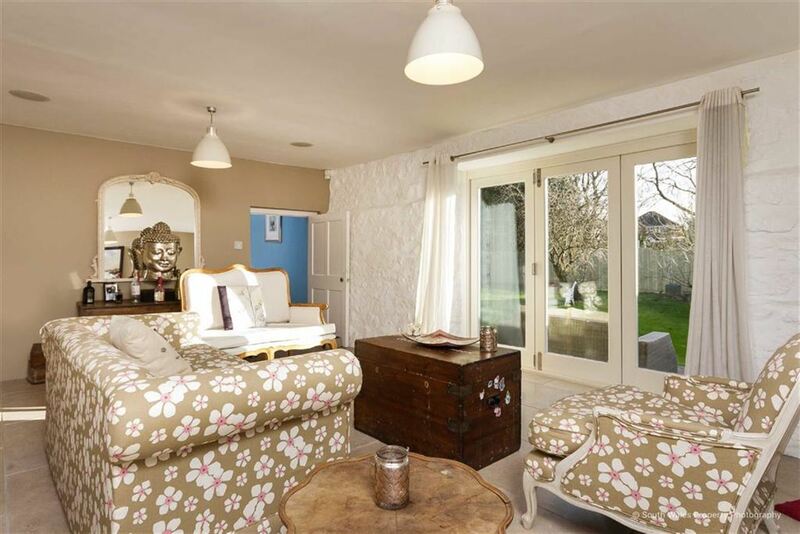 Double glazed french doors opening out to terrace balcony. External stone staircase to rear courtyard. Master Suite Bathroom One: Stylish and modern suite in white comprising roll top bath with claw feet including shower head attachment. Slimline dual flush WC. Unique pedestal wash hand basin. Double glazed obscure window to side. Exposed beams. Inset ceiling spotlighting. 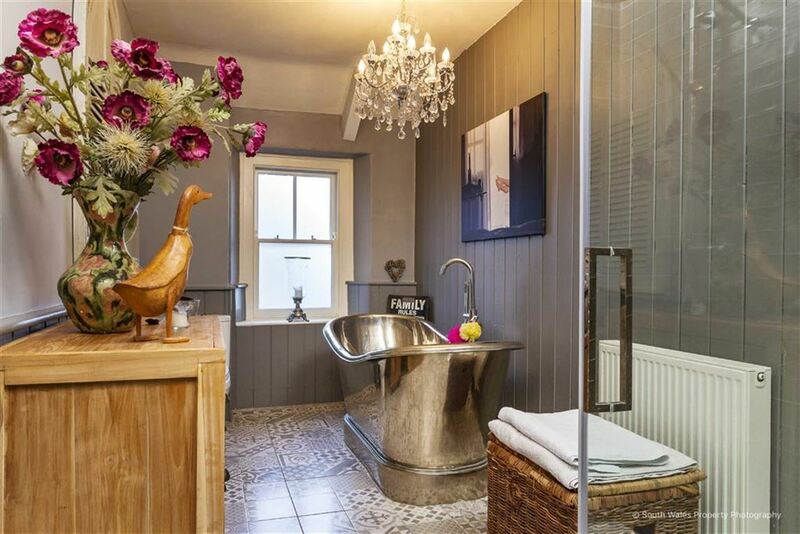 Chrome heated towel rail. Bedroom Two: 13'1"x 13'6" Well proportioned double bedroom. Hard wood double glazed picture window to rear. Recess full height floor to ceiling wardrobes with panelled doors in farmhouse style including character handles and external hinges. Inset chrome spotlighting. Fitted carpet. Bedroom Three Study: Inset double glazed velux windows. Suite Bathroom Four: Bathroom suite by Chatsworth comprising large roll top bath with claw feet, mixer tap and chrome shower attachment. Pedestal wash hand basin with chrome taps. Low level WC. Corner Quadrant shower cubicle with clear glass shower screen, fully tiled splashbacks and waterfall shower fitment. Part panelled walls. Tiled flooring. Double glazed opaque sash window to front. 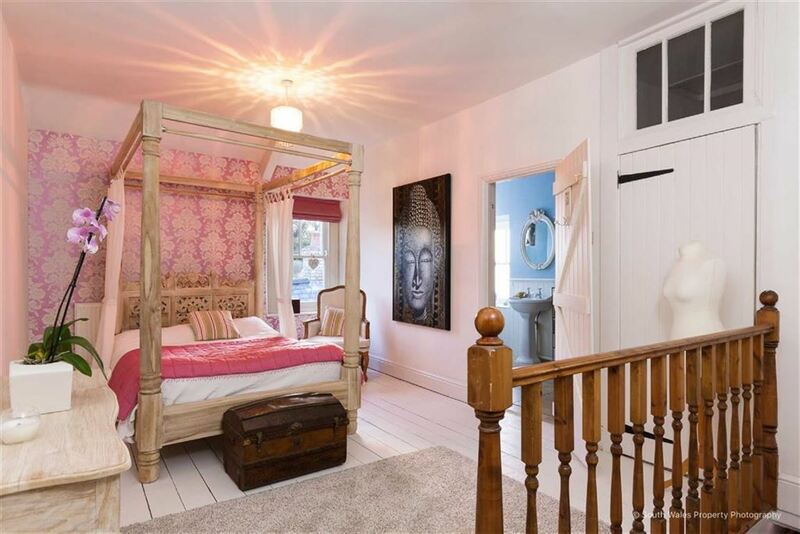 Bedroom Five: 11'4" x 8'8" Sash style double glazed window overlooking rear garden. Exposed timber flooring. Inset wardrobe. Radiator. Extensive range of built in wardrobes (8'1" x 2'3"). Bedroom Six: 11'1" x 7'10" Currently in use as a study but can be used as bedroom if required. Double glazed sash picture window. Double radiator. Bathroom Three: 17' x 7'7" Offering true contemporary style with features including oversized modern roll top tin free standing bath with chrome mixer taps and matching shower head attachment. Volcanic stone circular wash hand basin with chrome mixer taps with vanitory unit underset. Slimline dual flush WC. Separate Quadrant shower cubicle with tiled splashbacks, shower attachment with hand and waterfall fitment. Obscure glass double glazed sash window to side. Wall mounted vertical towel rail. 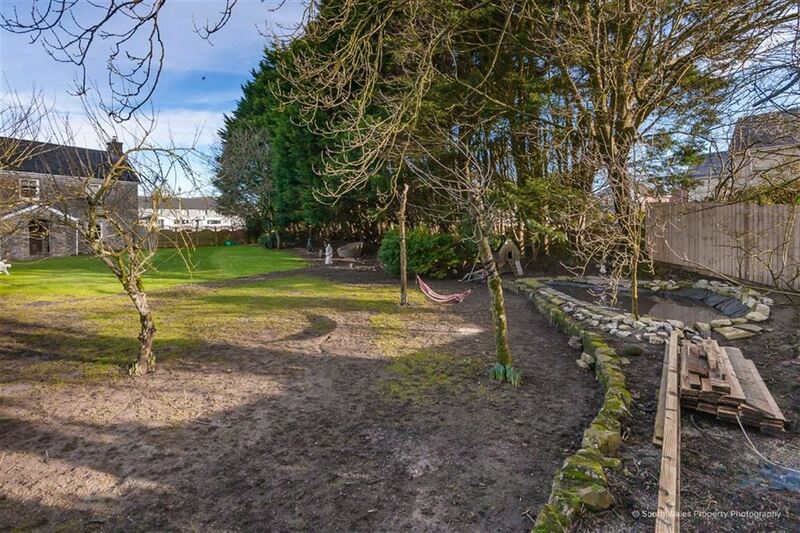 Outside: Situated on a substantial plot with mature gardens to rear, the plot in itself spans to 0.3 acres and offers a paved courtyard garden to rear, wonderful for al fresco dining and enjoying the evening sun. The majority of the gardens span to the south, private and secluded by a range of feather edged fencing and hand built stone walls. There is a raised terrace of flagstone, however the garden is mainly laid to flat lawned pasture. Evergreen trees flank the boundary adjacent to a small pond. There is access to front with parking for numerous vehicles set back from the road via a stone dwarf wall. There is a further side lane access to the property, through the double doors of the Gymnasium. Directions: From our offices at 67 High Street turn left and up to the traffic lights and turn left onto the Aberthin Road. Drive through the villages of Aberthin and Maendy and into Ystradowen. As you come to the bend through the village with the pub in front of you the property is set back to the left hand side. There will be a Brinsons & Birt board outside and parking to the forecourt. 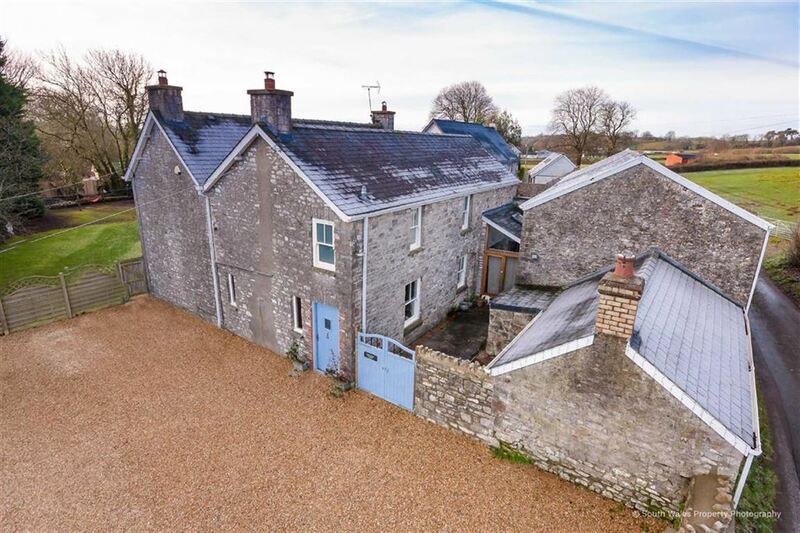 Please contact our Cowbridge Office on 01446 771777 if you wish to arrange a viewing appointment for this property or require further information. Origins dating back to 1840. 7 large bedrooms (3 suites). Wonderful open plan office/family room/hobby room.